Have you purchased my ebook: Backing Up 101 - Six Different Ways to Back Up Your Computer (And Which Ones You Should Use)? If so last week I completed a minor update to the book and - if you already own the book - the update is available to you right now, in digital form for free. 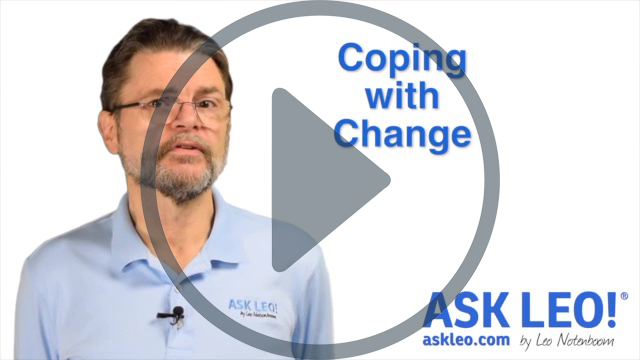 The changes aren't huge - a few minor content updates, a full edit pass from my awesome editor, a new cover and the like - but this is what "free digital updates for life" is all about for owners of Ask Leo! books. I keep hearing about online backup services that will back up your data to "the cloud". Assuming it's secure, why shouldn't I do that and skip the hassle of doing backups to an external hard drive or whatever? I've written some about free online backup services before, but I want to take this opportunity to look at the entire concept of online backups, whether they're free or paid. Online backup services can be a useful component of a broader backup strategy, but there are a number of factors to consider before deciding if online backup is the right thing to do, including security, completeness, speed, and cost. Please explain the relationship between bytes (resolution), pixels (understood as size), and dpi (e.g. 300 dpi resolution for printing purposes). I need to explain to colleagues at work why their reports uploaded to our website take so long to download – because they are too big and contain many high res photographs and pdfs! It can be very confusing, I'll absolutely grant you that. The details aren't horrific by any means, but they can be a little confusing if a couple of fundamentals are skipped, especially because there are two different types of "size." Continue Reading: How do pixels and DPI and resolution and picture size and file size all relate? 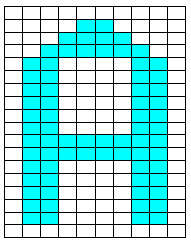 A **pixel** is a single point of light or color in an image or on a digital display device and the smallest point that can be individually set to a specific color or brightness. Pixel is actually short for "picture element". In digital display technology – whether that's on screen or digitally printed on paper – anything that is displayed is comprised of nothing more than dots, the pixels, that are individually set to specific colors. A common video screen might contain 1024×768 or 786,432 pixels. A 1080p HD video is actually 1920×1080 and thus 2,073,600 pixels – often referred to as 2 mega-pixels. Digital cameras are similarly referred to as having some number of mega-pixels of resolution. The term resolution is used because the more pixels that can be used to capture or encode the same physical area, the more clarity the resulting image will have to the human eye when rendered. I think another reason behind the looking for a software solution is wishful thinking. People are hoping for a solution which doesn't involve having to spend money to buy something. Being the go to person for a few friends, I often get a panicked phone call which more often than not is "Oh my god, I think I have a virus." I jump to my own conclusion that it's a PEBCAK (Problem exists between chair and keyboard.) I usually groan inside and fight the urge to give a snarky response (a fight I often lose :-). Believe it or not, it's never been malware. An irrational conclusion I've come to is that not only are some people allergic to computers, but computers are allergic to some people. I'll sit down at someone's computer who's been struggling a long time trying to do something basic, and I follow their exact steps and it works the first time for me. I refer to the second part as "The Proximity Effect". The closer the professional / technician / expert is to the machine the less likely the problem is to occur. I love that! I'm going to cite "The Proximity Effect" whenever it's applicable! It surprises me, from the number of comments here, how many folks will actually answer a call from someone they don't know. On my phone I get the name of the person if they're in my contacts list, those I answer. If the caller had ID enabled I get their phone number but I don't answer those because I don't know them. If they're legitimate they'll leave a message. If there's no caller ID information at all why would I answer it? Screen your calls and save a lot of time. Just because your phone rings doesn't mean you're obligated to answer it. That's exactly what I do. My thinking: "If it's important to you, you'll leave a message. If it's important to me, I'll return your call."